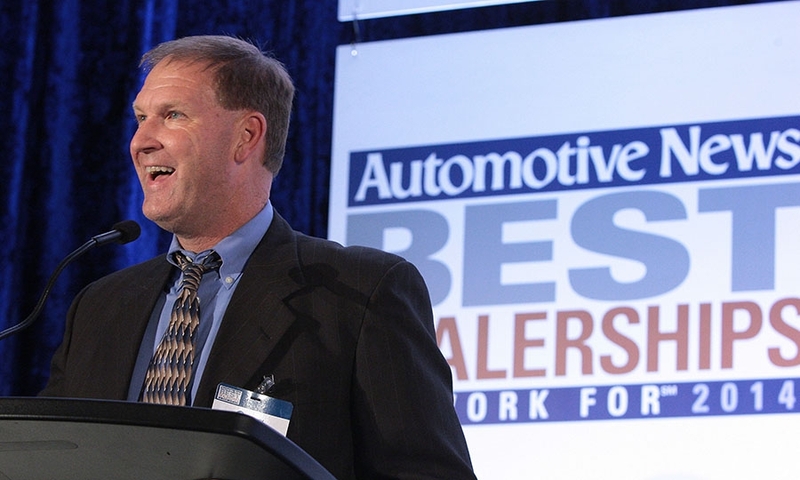 Dealer Greg May, whose Greg May Chevrolet of West, Texas, was ranked the No. 1 Best Dealership To Work For. 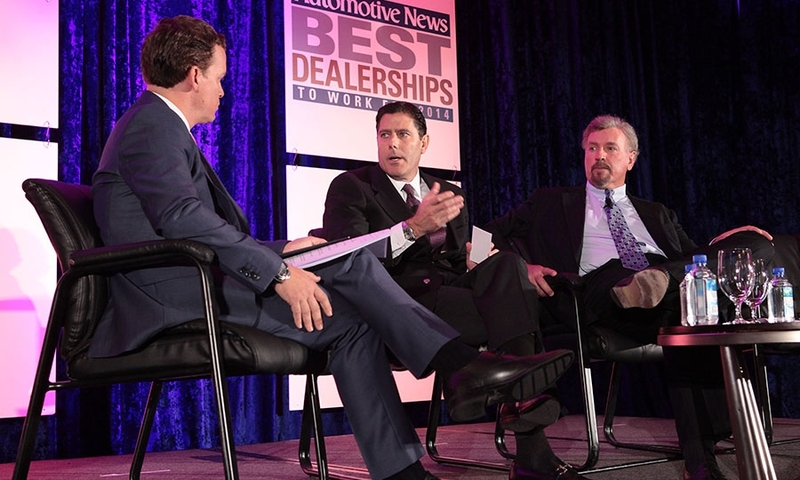 Todd English of Niello Porsche in Rocklin, Calif., is honored for being third on the list of 101 Best Dealerships To Work For. 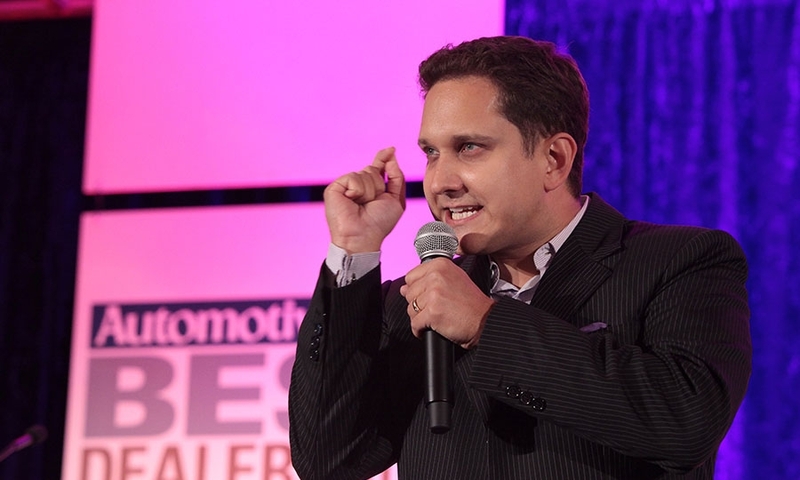 Jason Dorsey, also known as the Gen Y Guy, shed 90 minutes of light on generational gaps. 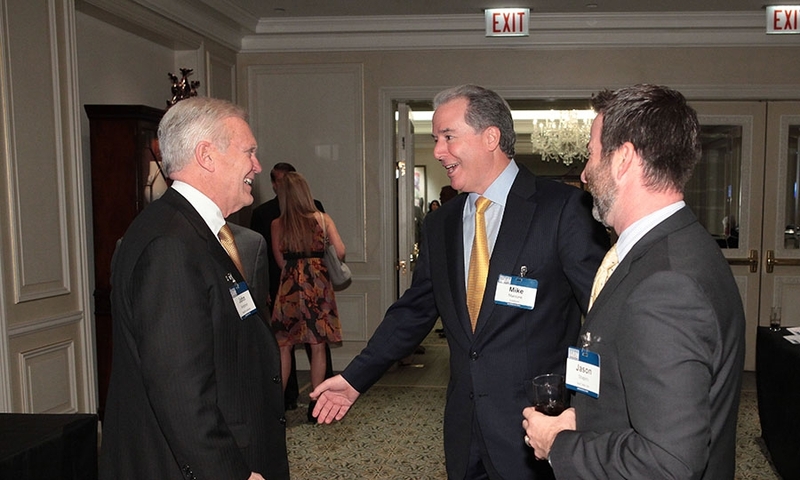 Wisconsin dealer John Bergstrom, left, and Jason Shapiro of AutoTrader.com share a laugh with AutoNation COO Mike Maroone, center. Tom Hall of the Friendship Family of Dealerships in Tennessee has his new book on Gen Y signed by author Jason Dorsey. 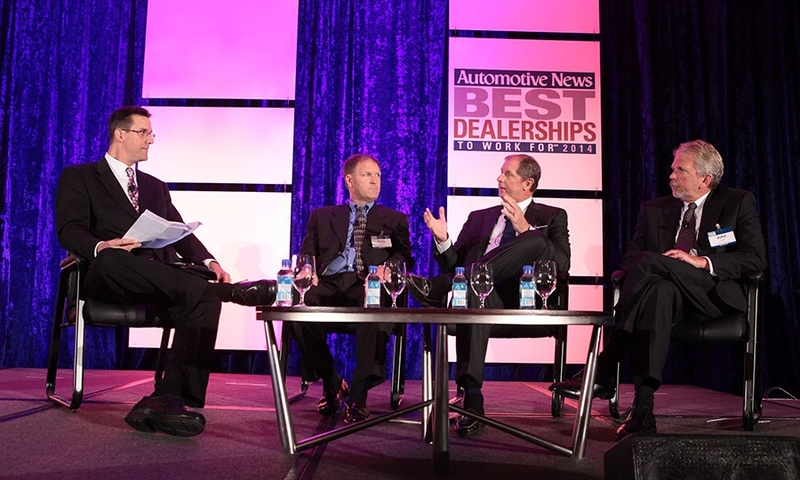 Automotive News TV Editor Tom Worobec leads a discussion of employee retention with dealers, (from left) Greg May, Mitch Walters and John Yark. 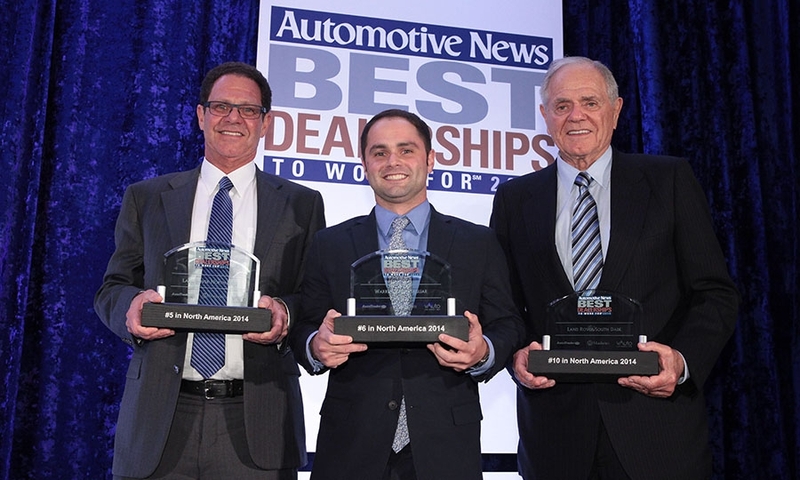 Three generations of Zinn family dealers -- Warren, Larry, and Dave -- carried trophies for the three Warren Henry Auto Group stores in the Top 10. 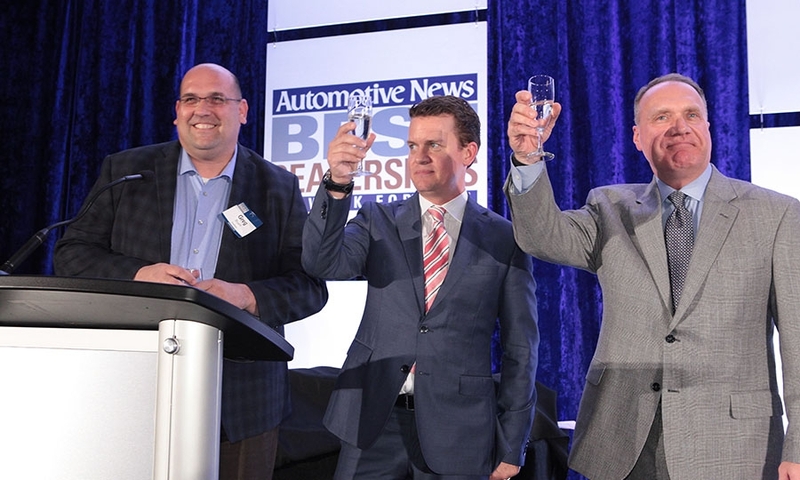 AutoNation Chevrolet Galleria's Greg Bryant delivers a toast to all 101 winners, along with Automotive News Publisher Jason Stein and vAuto's Randy Kobat. 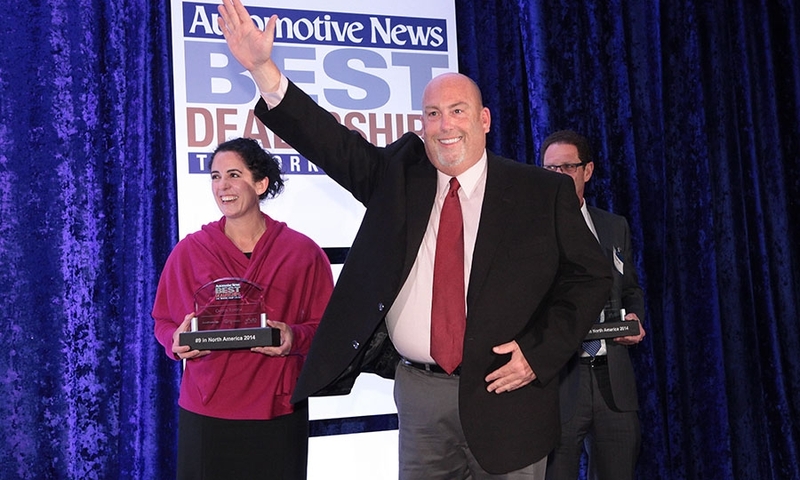 Charley Engelfried marks another Capitol Auto Group Top 10 honor as colleague Monika Duke looks on. 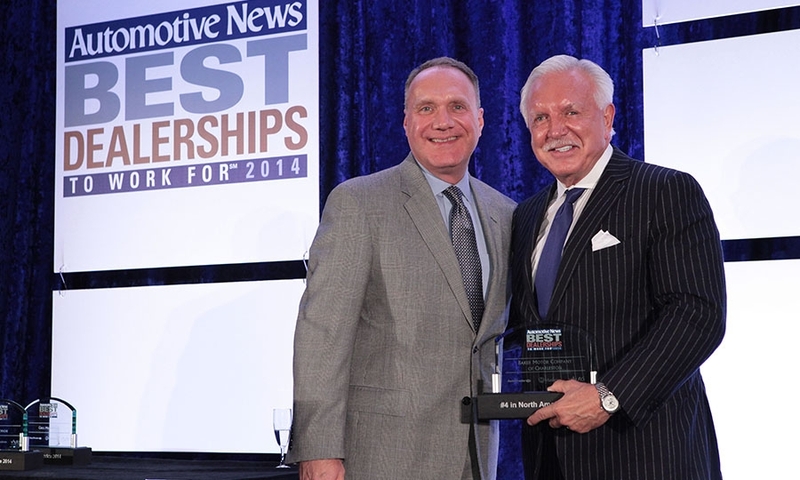 Tommy Baker, right, CEO of Baker Motor Co. of Charleston, accepted his No. 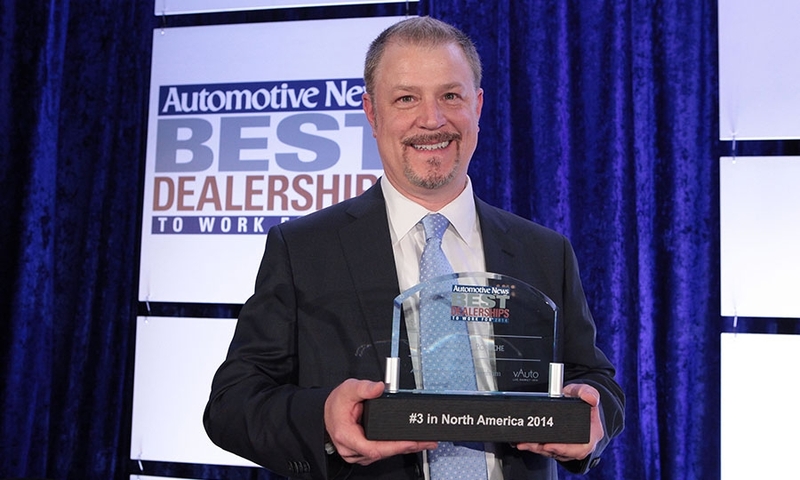 4 honor from vAuto Vice President Randy Kobat. 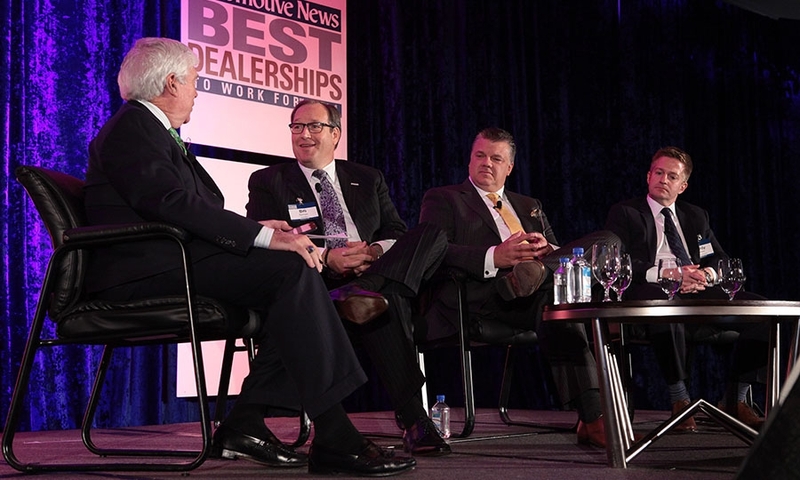 J Ferron of Automotive News leads a panel on employee compensation with, from right, Andrew Shaver, president of the Shaver of Auto Group; Brian Leary of Miller Automotive Operations; and Bill Berman, AutoNation Western region chief. 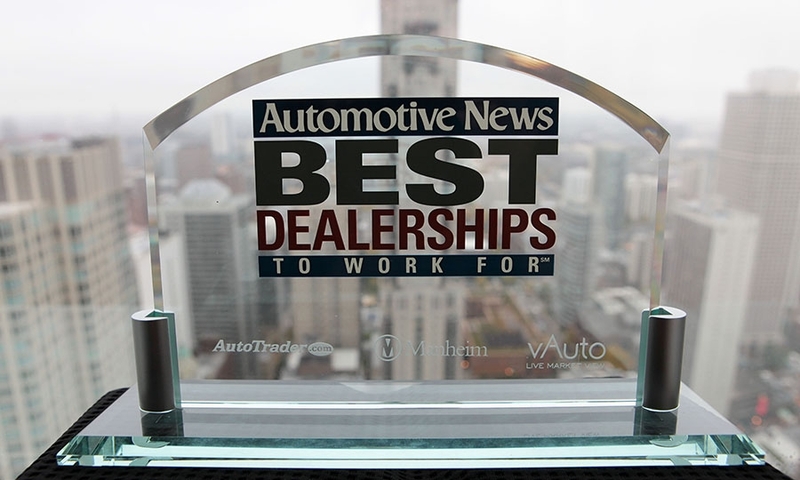 Automotive News' annual Best Dealerships To Work For event was held in Chicago on October 15. 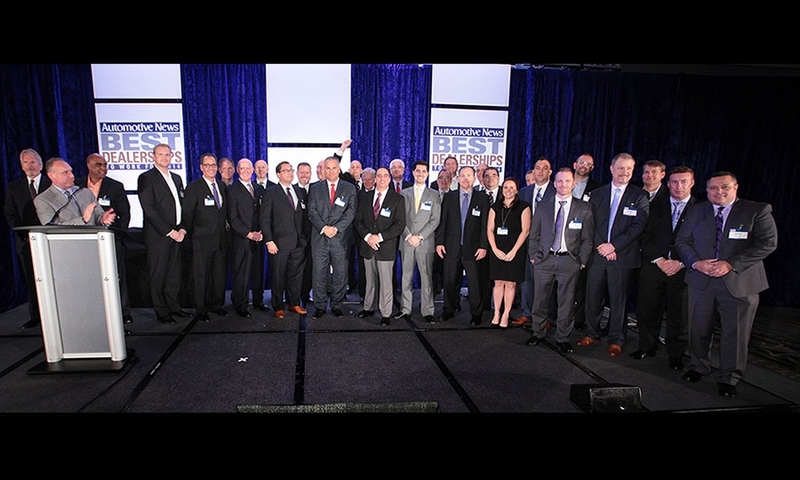 A total of 101 dealerships were honored.